Learning my lesson after terrifying the locals with my skirt blowing hither and thither, I donned trousers and shorts. In the days leading up to The Big Day, we relaxed by day and dined by night. 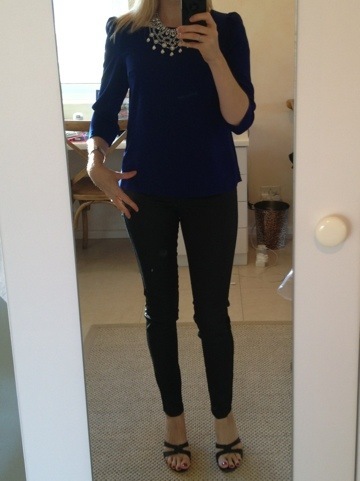 I wore the New Look coated skinny jeans that I love so much (and are reduced!) I am hunting them down in other colours, a cobalt blue Zara top, the sparkly Zara necklace that you also often see, and my old, beloved Nine West heels. The next night we had a cocktail party at the Nova Constantia guest house, where we were staying. The guest house was so luxe, and the owners / manager were so accommodating that I really recommend you stay there if you are going to Cape Town. By the pool – ooooh yes! 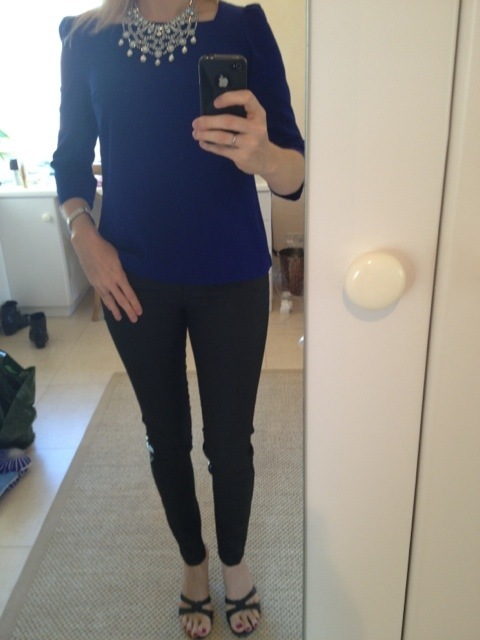 This entry was posted in Lifestyle, Outfits and tagged Kitima, New Look, Nine West, Nova Constantia, Zara on December 3, 2012 by Belinda WornOut.